Looking to generate more? Pay Per Click advertising is an excellent way of driving business your way almost immediately. Its fast and it works. Get a free consultation now. Pay per Click is an online advertising search marketing tool where advertisers pay an amount of money every time their ad is clicked by a potential clients while those are using the search engine to find what they need. The system works by providing the advertisers with a set of tools designed to help them create their advertising campaign. There ads are displayed on a designated area called "sponsored links" in the search engine pages, those areas usually occupy the top and right side of your screen while on the search engine. Compared with conventional advertising, Pay Per Click (PPC) is very effective targeting specific audiences, unlike many other advertising channels, it also provide a reliable way of measuring advertising effectiveness. By using Pay Per Click advertising, one can target clients based on specific keywords, and keyword combinations used to perform searches online. 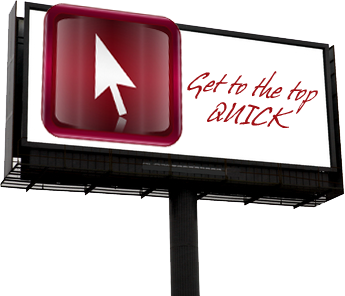 The leading search engines with a Pay Per Click advertising program include: Google, Yahoo and MSN. Traditional advertising is designed for maximum exposure while hoping to get a response from a portion of the audience who the advertising is relevant for. With Pay Per Click, the advertiser targets it's specific audience based on keywords and keyword combinations. The advertiser's ads will only be displayed to people who searched for keywords selected by the advertiser. E.g. a pizzeria owner serving the Miami area can set his Pay Per Click campaign so his ads will only be displayed for users searching for "Pizza" or/and "Miami pizza". His ads will be viewed only by individuals searching for those exact terms and no one else. Traditional advertising can not offer that type of accurate targeting. Pay Per Click advertisers can see exactly which keywords sent visitors to their site. Knowing which keywords are working for them and which are not can not only help them tweak their advertising, it can also provide them with valuable information that can help them adjust their business strategy and maybe consider offering new services based on market trends. Traditional advertising does not come close. Why advertise to a large audience when you can target your clients based on their location. Select multiple locations and change your setting at any time to test the response from new locations. Stop and Go, in real time. In addition to setting their campaign ads to run at specific time slots, PPC advertisers can also pause and resume their campaign in real time. Other Pay Per Click benefits including real time and scheduled reporting, modifying campaign budget in real time and more. Contact us for more information and better ways to create and manage your campaigns. Give us a call at 305.386.9003.